Extreme Mission Package gets tokens! Q: What is there for kids to do in Fall River? 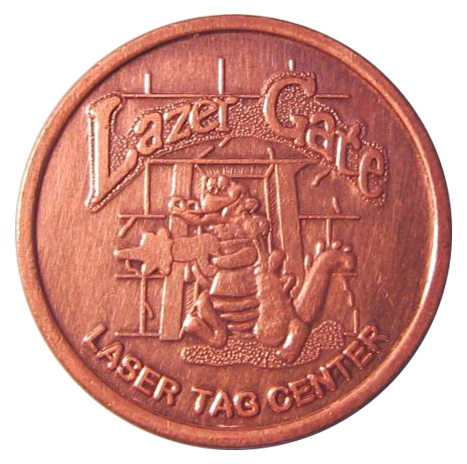 Lazer Gate is a locally owned Family Entertainment Center who’s mission is to give kids and parents something they want: FUN . We are open Tuesday through Sunday. Mondays only for holidays/vacations/and summer hours. Enough can’t be said about how different this arena is from any other arena in the area. You will need to keep moving to score well in Lazer Gate! Even the arcade can keep kids active, from our rotating rock wall, to Dance Dance Revolution and Jumpin Jackpot. Of course there are the more traditonal arcade games such as skee ball, air hockey, pinball and much more. 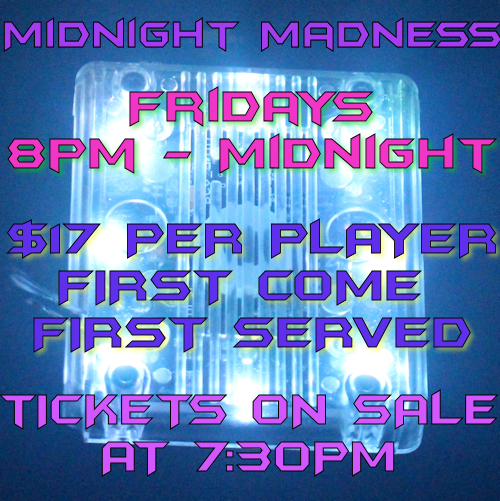 Laser tag and arcade token packages are available so that when the action in the arena is done, play time moves to the arcade.Gate Golf – an 18 hole blacklight mini golf course. Start on an alien planet, journey through a Vortex and finish on a jungle world where dinosaurs still exist. Spend the day! – An All Day Pass for laser tag is just $25 per player (Weekday prices may be less, check calendar for details) and there are plenty of other packages to help you and the kids have a great time without breaking the bank. This is THE location for your Stay-cation/Day-cation in Southeastern New England. Now open! Lazer Gate’s indoor bounce park and SpinZone bumper cars! Bounce Houses: Plenty of places have bounce houses lately. A slide and a “Moon walk/bounce house” and maybe a small obstacle course. So of course we had to look for something a little different and more exciting, like a maze/obstace course that is 4 lanes long rather than just 1 or 2. And the Defender Dome, where you can bounce, OR play dodgeball with a goal to defend, OR play volleyball, OR a small basketball game. How about some smaller bouncers JUST for the 6 and under group? Done! And just for good measure, another giant obstacle course. Bounce parties? Of course! 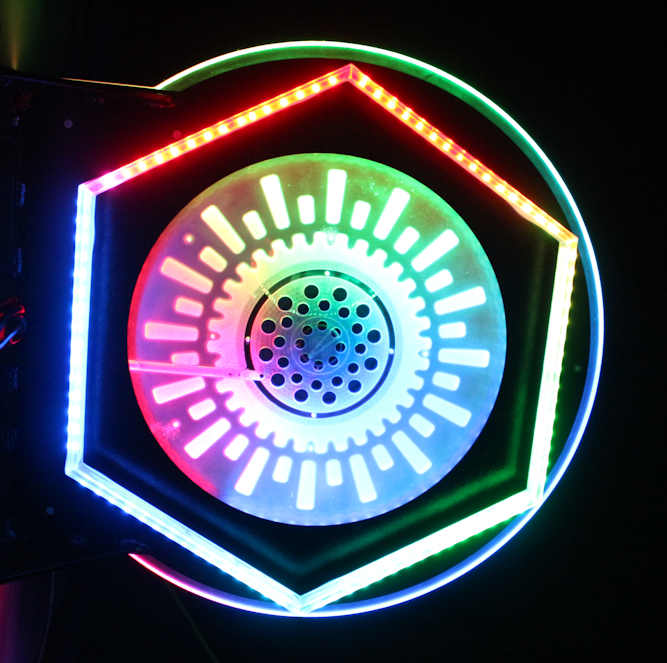 And as our laser tag party customers can tell you, Lazer Gate knows how to party! other car into a spin for a few seconds. While riders must be a certain height to drive, 42″, we do have kid seats for the smaller riders who want to be part of the ride so no one gets left out of the fun. As long as they can sit in the seat, they can go along for the Spin! Brand new at Lazer Gate, our Rilix Coaster! Virtual Reality Roller Coaster with over a dozen tracks covering plenty of different intensities so that everyone can find something at their speed. Feel the movement while sitting still by using our Virtual Reality headset to experience a 360 degree view of each roller coaster “world”. Only available at Lazer Gate – Virtual Reality Rilix Coaster!